Many people find that their neck shows signs of aging before the rest of their face. Heredity and weight loss can also impact the appearance of the neck. Horizontal bands or lines, loose-hanging skin, and excess fat deposits can give the neck an undesired appearance. Fortunately, a neck lift can minimize these effects by lifting and tightening the soft tissues of the neck giving patients a firmer and more youthful-looking neck. Most candidates are 35 to 70 years old and are looking to reduce the signs of aging. Any adult in good overall health can undergo this procedure, including patients both younger and older than this age range. Good candidates wish to smooth and tighten the appearance of their neck and are realistic about what the procedure can achieve for them. Certain medical conditions may preclude a neck lift, including asthma and diabetes. The procedure is most commonly performed with general anesthesia and takes between one and three hours. During a consultation with your plastic surgeon, they will select a specific surgical technique to address your aesthetic concerns. Some of these surgical options can include liposuction to target fat deposits, cervicoplasty where excess skin is removed, or a platysmaplasty procedure to tighten neck muscles and remove any unattractive “band lines” running horizontally across the neck horizontally. Finally, incisions are closed with sutures and a bandage/compression garment is placed over the treatment area to help with swelling and bruising. As with all plastic surgery procedures, there are risks associated with surgery. These include reactions to the anesthesia, infection, and excessive bleeding. One of the most serious risks associated with this procedure is that of accidental damage to the nerves that control the muscles in the neck. While rare, this complication should be discussed with your surgeon in advance of the procedure, since it can have a significant impact on your life following surgery. Also among the risks of a neck lift is the development of visible scar tissue. Although incisions are usually placed along natural skin creases to minimize the potential for scarring, this remains a possible risk. During the recovery period, the neck will be covered with an elastic compression bandage to support the tissues as they heal. This must be worn for at least a week or two. While in recovery, common side effects include bruising, swelling, soreness, and tightness. Temporary numbness is also possible. Throughout the recovery phase, keep your head and neck elevated at all times. Wear button-down shirts to avoid the need to pull shirts over the head and neck. Most neck lift recovery patients return to work within two weeks, although strenuous exercise should be avoided for at least a month. DID YOU HAVE NECK LIFT SURGERY? Depending on the surgical techniques used during this procedure, and whether the neck lift is performed in combination with a face lift, blepharoplasty or other form of cosmetic surgery, the cost of a neck lift usually ranges from $5,000 and $8,000. Other factors affecting the cost include the surgeon chosen and the geographic region. When deciding to have this procedure, its important to not only consider the cost but also the surgeon. Choose a board certified plastic surgeon who has experience in performing neck lift surgeries. 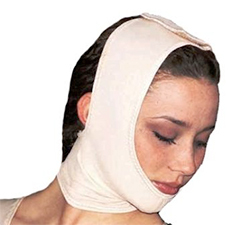 Is a Compression Garment or Chin Strap Required after Neck Lift Surgery? Typically after a neck lift procedure, your plastic surgeon will place some type of dressing (elastic chin strap) around the treatment area for the first few days. This is primarily done to help reduce the amount of swelling and bruising associated with the procedure. After the first few days, a compression garment is optional. 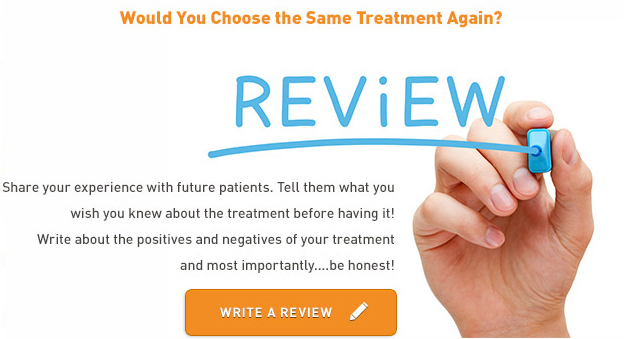 Many plastic surgeons vary in their post operative instructions. If your unsure whether or not you should wear a compression garment, discuss this with your surgeon. What Type of Surgical Incision Options are Used During a Neck Lift Procedure? There are a variety of neck lift techniques that should be carefully selected by your surgeon to meet each individual patient’s particular needs. A person in their 20’s or 30’s with good skin tone maybe require a different technique then someone in their 50’s or 60’s. In general, incisions are usually under the chin, behind the ear or along the face and neck but designed to be well hidden. If your considering a neck lift, it is important that you select a qualified surgeon that has extensive experience in performing neck lifts and can help you select the right incision option to meet your overall aesthetic goals. How Do I Know if I Need a Neck Lift or Liposuction? In general, your surgeon is going to look at the amount of fat to be removed, skin elasticity, and whether or not there is any platysmal banding (ie neck bands). Patients with good skin elasticity and no neck bands are ideal candidates for liposuction alone. Patients with jowling, poor skin elasticity and neck bands would likely benefit from a neck lift procedure. Ultimately to determine if you are a candidate for either procedure, you should meet with a board certified plastic surgeon so they can examine you in-person.